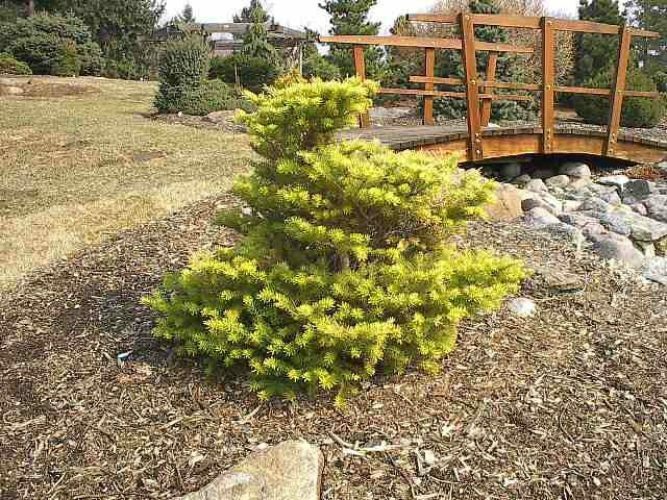 Abies koreana 'Aurea' is a golden-yellow form of Korean fir that grows as a broad globe when young and later develops a leader and grows in a broadly upright form. 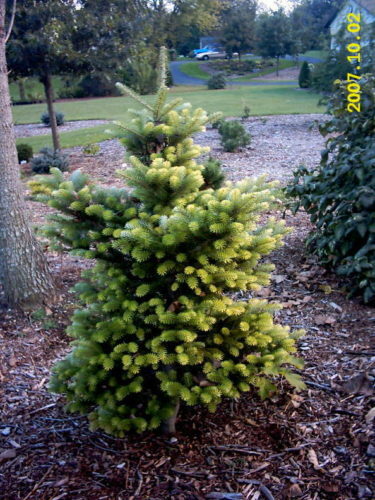 The short needles are bright yellow to golden in color in the spring, becoming dull light green by winter. This is golden foliage is especially attractive when it produces the purple seed cones which are typical of the species. After 10 years of growth, a mature specimen will measure 3 feet (1 m) tall by 1.5 feet (45 cm) wide an annual growth rate of 3 to 6 inches (7.5 - 15 cm). Lohbrunner Nursery, Victoria, British Columbia, Canada is credited with the origin and introduction of this cultivar in 1956. It came about as a seedling selection made at the nursery. 'Aurea' is sometimes confused with A. koreana 'Lumineta' which is a European selection that is rarely seen in U.S.
Abies koreana 'Aurea' — this photo was taken at my home yard in Moline, Illinois. in 2003. This plant was 6 years old at this time. 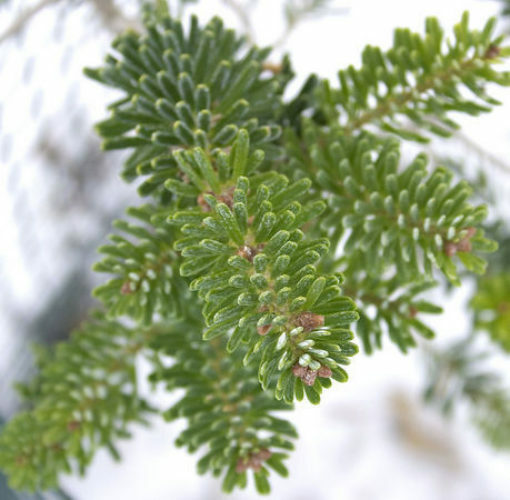 Abies koreana 'Aurea' — this photo taken in spring 2003 in the Heartland Collection of Dwarf and Rare Conifers, Bickelhaupt Arboretum, Clinton, Iowa. 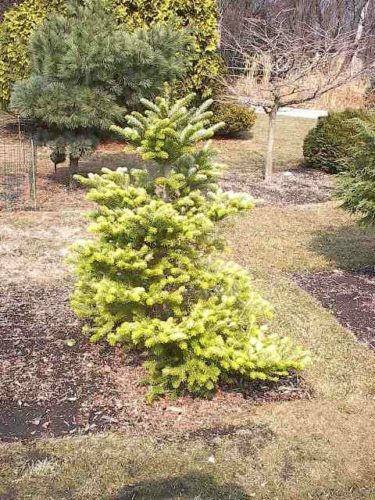 Abies koreana 'Aurea' — photo copyright of The Wildlife & Conifer Garden Donated by Don and Nonda Surrat, Ohio, USA. 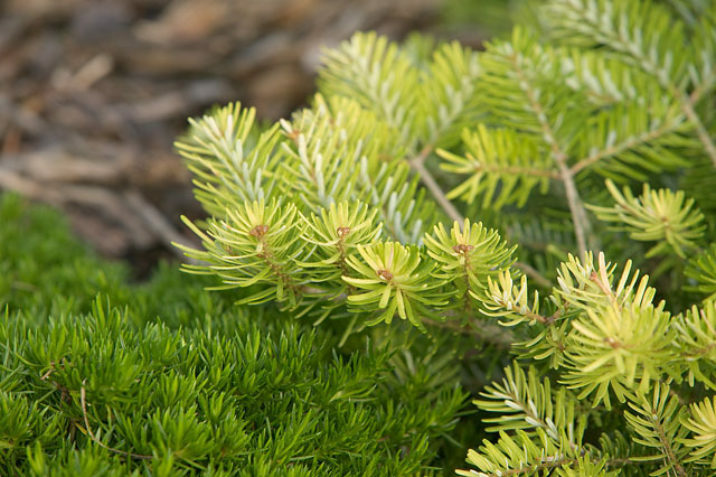 Abies koreana 'Aurea' — photo copyright of Green Industry Images Donated by Ernie Wiegand. Abies koreana 'Aurea' — photo donated by Kenneth Marek, Adrian, Michigan.